Fully assembled. Metal chassis with plastic body and details. Cab interior detail for the upper part of the cab, with a raised cab floor hiding the motor. NEM362 coupler pockets. Directional lighting with Continental-pattern lamps. Based on a prototype used in Italy, with a raised ventilator panel to the cab roof added after delivery. 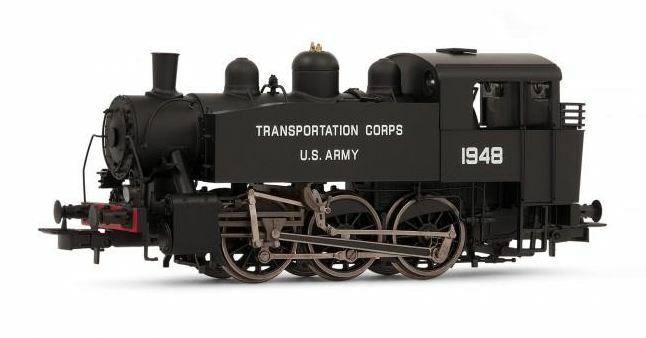 Removal of this vent creates a model of a locomotive in the condition used in Great Britain, including on the Southern Railway (before rebuilding into the USA Class), in industry and in the War Department.